Joe Vowell and Walter Smith are not included in the class pictures. This is their obituaries. Nashville- Joe R. Vowell, 89, passed away Friday, October 13, 2017 at Alive Hospice in Nashville, TN. Joe is preceded in death by his wife of fifty-nine years, Carolyn Massey Vowell, parents Harvey and Tessie Vowell, brothers Jimmy, Dudley and Jack, and sisters Marge, Jane, and Jacqueline. Joe is survived by his son David Vowell (John Ricks) of Old Hickory, TN, daughter Vicki Vowell Garrett (Mike Woodward) of Nashville, and brother Bobby Vowell (Mattie) of Mayfield, Ky.
A resident of Donelson, Joe was born in Bruceton TN in 1928. He was a graduate of Bruceton High School and earned his Bachelor's in Engineering from the University of Tennessee. He retired from Textron (Avco) where he spent his career working as an Aerospace Engineer. Funeral services will be held Wednesday, October 18th at 3 p.m. at Hermitage Memorial Gardens, in Hermitage, TN. A visitation will be held from 1-3 p.m. prior to the service. In lieu of flowers donations may be made to The American Heart Association , 1818 Patterson St., Nashville, TN 37203 or Alive Hospice, 1718 Patterson St., Nashville, TN 37203. Mr. Walter Smith, 73, died on Tuesday, September 3 at the Life Care Center in Bruceton. Funeral services were conducted on Thursday, September 5 at 2:00 p.m. in the Chase Funeral Home Chapel with Bro. Joe Abbott officiating. Interment followed in the Bethlehem Cemetery. 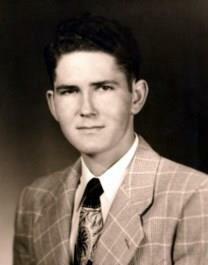 Mr. Smith was born February 16, 1929 in Carroll County to the late Walter Duel Smith and Queenie Turner Smith. He was a member of the Bruceton Church of Christ and a farmer. He was a former magistrate for Carroll County and former board member of the Carroll County General Hospital. One sister, Mary Charlene Smith also preceded him in death.